﻿ Hi, how are you, guys? I am new here. 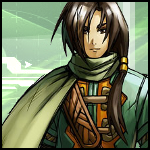 Golden Sun Hacking Community > The Community > Introductions > Topic: Hi, how are you, guys? I am new here. Question: Do you like golden sun? Hi, how are you, guys? I am new here. For my introduction, I just want to say to all of your guys. And if possible, I want to ask a question. Do we have any tutorial for how to use our Editor? I really got confused when I first time used it. For myself, I played the Goldensun series since I was a child, and it turned out to be most awarding experience I ever had in my life. In fact, I always dreaming if I ever have a chance to replay this game in a different way. Yeah, like hacking. Anyway, really happy to join this community ! Re: Hi, how are you, guys? I am new here. Not really sure of a tutorial for the editor... it's mostly open the ROM in it, edit stuff, test in-game (via an emulator like VisualBoyAdvance) to make sure it works as you want/etc. Speaking of tutorials... Mind if I just go straight to the golden nugget and teach you what I know about ARM assembly? You know like... do it right now? Haha... Naw, I'm pretty sure that's not a good place to start. You forgot a "no" option in your poll. I want to say "no because it was rushed!" Thanks for greeting. I will be here for a long time. Regrettably I haven't really made an official guide for using the editor past the first release, and there have been a lot of really good contributions after the last version I've personally released. It's really good to see that there are still people interested in it though, and I'm sure if you have any specific questions there are people around that know a lot more than I do that would be glad to help you out. Thanks, I really appreciate that you said that. Actually, I had one big question right now. Most of time when I trying to open the editor, it is not working. and shows that "trigger: 0 " or something else. Do you know any way to fix it, please tell me if you heard something about that before. By the way, I am currently using Window 10 system.